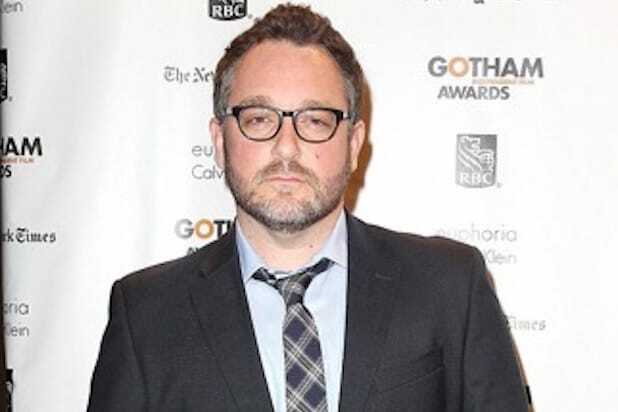 “Jurassic World” filmmaker Colin Trevorrow will direct “Book of Henry” for Sidney Kimmel Entertainment, it was announced Monday by SKE’s president of production Carla Hacken. “Book of Henry” is an original screenplay written by bestselling novelist Gregg Hurwitz (“You’re Next”). Sidney Kimmel Entertainment will independently finance and co-produce the film with Double Nickel Entertainment. Sidney Kimmel will produce along with Double Nickel’s Jenette Kahn and Adam Richman (“Gran Torino”), while SKE’s Carla Hacken and Jim Tauber will executive produce. The plot is being kept under wraps, and production will start in September in New York. “’Book of Henry’ is a remarkable piece of screenwriting that has stuck with me for years. I feel very fortunate to be able to tell this story. It is a true original,” said Trevorrow. Trevorrow directed and co-wrote Universal’s upcoming summer blockbuster “Jurassic World,” which was executive produced by Steven Spielberg. The film stars Chris Pratt, Bryce Dallas Howard and Vincent D’Onofrio. Trevorrow previously directed the critically acclaimed indie “Safety Not Guaranteed” and he’s also slated to co-write and direct “Intelligent Life” for DreamWorks next year. He’s represented by Verve, 3 Arts Entertainment and attorney Lev Ginsburg. Hurwitz is a bestselling author who recently signed on to adapt his own novel “Orphan X” for Warner Bros. and producer Bradley Cooper, who will possibly star. SKE recently fully finances and sold its romantic comedy “Sleeping With Other People” to IFC. Leslye Headland (“Bachelorette”) directed the film, which stars Jason Sudeikis, Alison Brie, Adam Scott and Amanda Peet. SKE’s additional upcoming movies include Lionsgate’s “Age of Adeline” starring Blake Lively and Harrison Ford, and Fox Searchlight’s “Demolition” starring Jake Gyllenhaal and Naomi Watts.